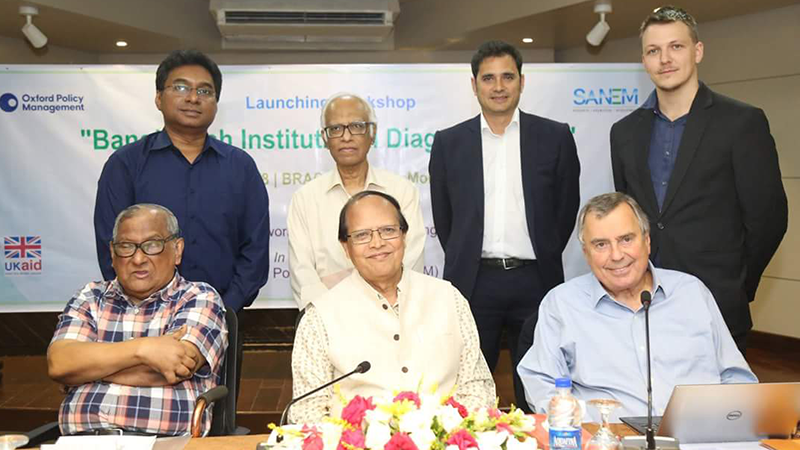 The Bangladesh Institutional Diagnostic was officially launched with a workshop in Dhaka on 24 September 2018. 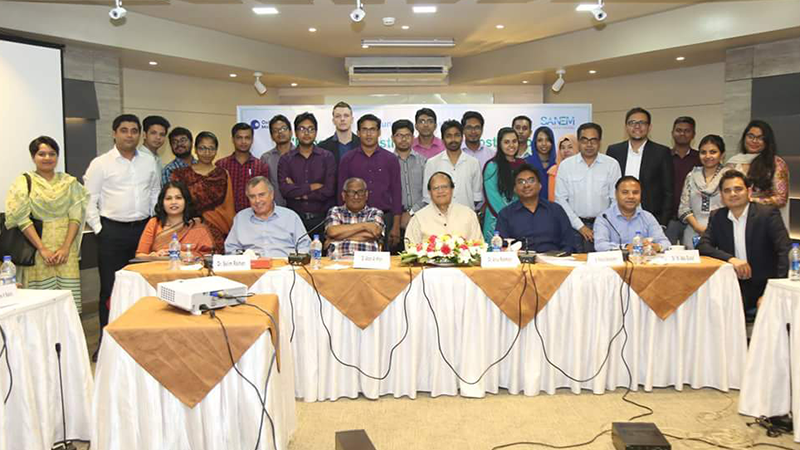 The sessions were chaired by eminent economist Professor Wahid Uddin Mahmud, and Dr Atiur Rahman, former governor of the Bangladesh Bank. Dr Qazi Kholiquzzaman Ahmad, Chairman, Palli Karma-Sahayak Foundation (PKSF), Dr Mirza Azizul Islam, former adviser of caretaker government, and Dr Akbar Ali Khan, former finance secretary, were present in the sessions as Guests of Honour. EDI Research Director François Bourguignon gave an opening presentation that highlighted the major features of this research project, as well as relevant lessons from his recent work on the institutional diagnostics of development in Tanzania. Another presentation, by Dr Selim Raihan, who is leading research for the Bangladesh Institutional Diagnostic, provided an overview of the major development challenges of Bangladesh. These include problems related to structural transformation, economic diversification, labour market challenges, poverty reduction, social development, and weak state capacity. 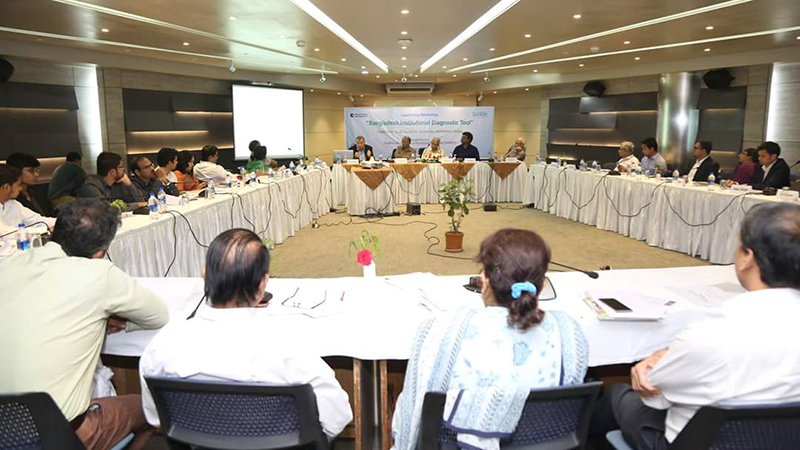 The presentation also focused on the politics of development in Bangladesh and the comparative assessment of progress in institutional fronts. These presentations were followed by panel discussions in which distinguished guests provided valuable insights and feedback on the overall objectives of the research project and the background paper of the study. Prominent academicians, researchers, private sector experts, government officials, and representatives of international organizations were present at the launching workshop. This workshop, together with a planned questionnaire survey and expert interviews will lead to the identification of key institutional areas to be explored in detailed thematic studies over the coming year.